If you are reading this, you’re probably considering having your carpets cleaned. Well, you’ve come to the right place. Carpet Cleaning Hackney is the city’s leading provider of carpet and upholstery cleaning services for homes and businesses. Our reputation is built on years of creating customer satisfaction by completely transforming dull and dirty carpets into bright and hygienic ones you’ll be proud to have in your home or office. For most households, cleanliness is an important factor. However, no amount of sweeping and wiping will help create a hygienic home environment if your carpets contain dirt, mites or bacteria. Carpet Cleaning Hackney has the right solution for every kind of carpet. Our cleaning teams are well-versed in the wide variety of carpet types on the market and will be able to adapt the technique and solutions used to bring out the best in your particular carpet. So whether you’ve got silk carpets, carpets made of acrylic fibres or those that are a mixture of several materials, you can be sure that we’ll use the most appropriate method of cleaning. *The costs above are valid about Hackney. They include the required labour (cleaning hours). If additional time is needed, then supplementary costs will be applied. Minimum charge applies. Quotes over the phone are formed based on the supplied information. 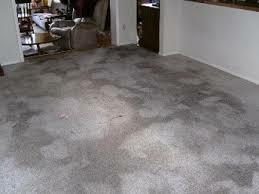 Steam cleaning, with hot temperature and high pressure settings, is the most dependable way to get your carpets clean. Carpet Cleaning Hackney’s team use steam cleaning equipment, which allows hot water to flow through your carpet before being extracted at high pressure. The pressure and the heat work together to dislodge and remove dirt as well as destroy any living organisms hiding in the strands of your carpet. The equipment we use ensures that steam cleaning is carried out properly and that no dampness will remain on your carpet. We’ll leave your home or office a much safer and more comfortable place for your family or employees. Having nice and clean carpets is the main concern for most homes and offices, but the appearance of the carpet is also very important. After all, your carpets and your upholstery combined cover a large area of your home or place of business. Coffee stains, wine stains, the remnants of food spills or ink marks can make for a shabby environment. However, many owners of homes or businesses choose to leave stains on their carpets thinking that nothing can be done about them. Carpet Cleaning Hackney’s stain-busting techniques can actually lift off old stains and leave your carpet looking new and fresh. Removal of even the smallest stains can give your home or office a complete makeover, at far less than the cost of purchasing a new carpet. Let Carpet Cleaning Hackney pay a visit to your house or office and show you how big a difference we can make to your environment. Call for an appointment and our polite and knowledgeable staff of expert cleaners will come in to demonstrate why so many homes and offices consider us the best carpet cleaning service in town. We’re positive that you’ll be delighted with the results that a steam cleaning and stain-removal can bring to your carpet. With our 100% guarantee, you’ll lose nothing but the dirt and stains on your carpet!